Sony Xperia P is a little outdated Android cellphone launched in February 2012, which counts with a fast Dual-Core processor clocking at 1 gigahertz, a medium sized 4-inches multi-touch screen, and two cameras, an 8 MP back side camera and a 0.3 megapixels front camera. This cellphone is quite slim and comfortable, but it's not so thin as many other phones in the market, with a thickness of 0.41 inches. 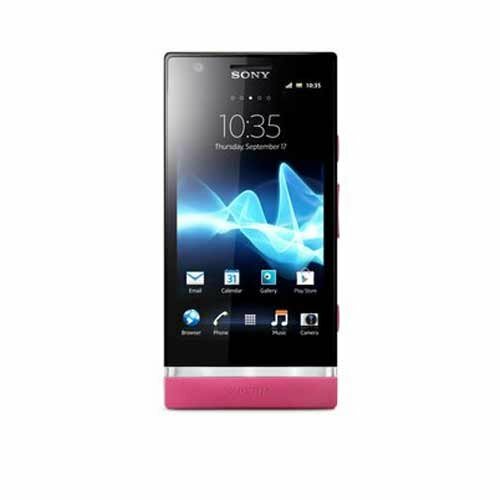 The Sony Xperia P is available in three different colors, black, red and gray. Sony didn't seem to put much effort to reduce weight in this 4.23 oz cellphone. Sony decided to equip this cellphone with a ST Erricson NovaThor U8500 chip, backed up by a fast 1000 MHz Dual-Core processing unit with 1 GB RAM memory. Graphic intensive apps and games often consume a lot of CPU cycles, so it uses an extra 500 megahertz ARM Mali-400 graphic processing unit to improve overall performance. A good point of this cellphone is its 16 GB quite large internal storage and even though it doesn't include an SD extension slot, it is enough to install a couple hundred apps and games, but it probably wouldn't be enough if you are planning to install some of the heaviest games available nowadays or taking tons of pictures and videos. Sony packed the Sony Xperia P with a good level 4-inches display, and a resolution of 960 x 540 , making everything look very nice. This display uses TFT capacitive technology, and can detect multi touch gestures. 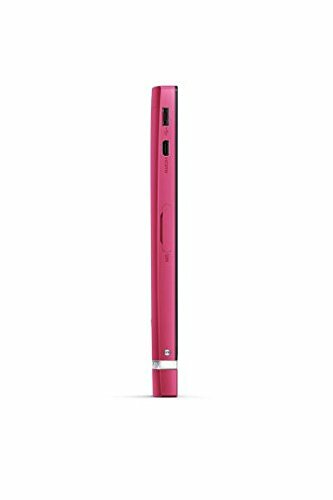 This phone has wi-fi connection (and it can be shared with other devices acting as a mobile hotspot) or the fastest 3G connection type, over HSDPA, HSUPA, UMTS and EDGE technologies. This phone works with a SIM card to use GSM services. This device is equipped with two cameras, an 8 MP back facing camera and a 0.3 mega-pixels front facing camera. This device can also capture Full HD 1920x1080 videos. 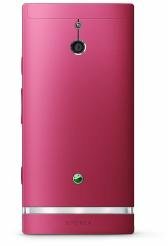 This cellphone also features a high number of interesting features: auto-focus, flash, digital image stabilization, face detection shooting, smile detection shooting and geo tagging. This cellphone also features some interesting features like Bluetooth (2.1, EDR), GPS (Global Positioning System) and NFC, and multiple sensors like Light Sensor, Proximity Sensor, Accelerometer, Gyroscope and Compass. This cellphone counts with a 1305 mAh mid capacity removable battery providing this phone with a quite short battery life. Sony claims this phone has a 470 hs stand by time and a 6 hs talk time. 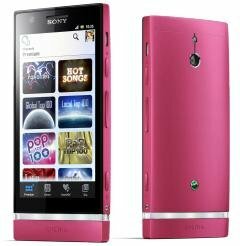 Sony offers this cellphone for about $ 129, similar to other same level cellphones. If you will use it as a social phone, you will definitely love this cellphone. This phone is sold with fast charger, clear audio certified stereo headset, and user documentation, synchronisation and file transfer, embedded battery and micro USB cable for charging.